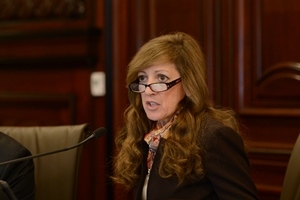 Holmes also expressed concern for how the governor would ensure municipalities and counties get their fair share of income tax revenue, which has been cut in recent years. The Local Government Distributive Fund historically shares a percentage of state income tax revenues with cities and counties on a per capita basis. The original share was 10 percent, however in recent years that share has been cut to 5.757 percent.